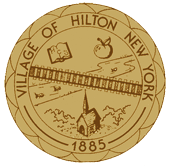 Town that the Village of Hilton is contained within. The 4,600-student-body Hilton Central School District invites all community members to become involved in education by finding out more about Hilton's community use of facilities; extensive Continuing Educaton Program; music concerts and drama performances; exciting interscholastic sporting events; and other open invitations to the community to join in support of students and learning. Accepts tax-deductible vehicle donations to positively impact the community and make car removal much easier. Website includes news, information, rosters, schedules and more! Formerly known as the Hilton-Parma Soccer Club. The club has operated the Hilton Recreation Soccer Program for several years. American Legion Post 788 - Regular meetings are held the second Wednesdays of each month at 7:30 PM in the Community Center at 59 Henry Street, Hilton NY. Contact information for this Post is Al Howe – 392-8895 or John Barclay – 392-9547. The Hilton Rotary Club meets every Thursday night at Foster's Restaurant at 6:00 PM. All are welcome to come and experience what Rotary is all about. Hilton Generations Band - an independent community marching band based in Hilton, NY. The Village Community Center, 59 Henry Street has been designated as a SafePlace location in the Hilton-Parma community.